“I Unify in order to Explore, Attracting Wakefullness. I seal the output of Space with the Magnetic tone of Purpose. Today’s Occult is Kin 208, Yellow Cosmic Star, and Kin 53’s G-Force is Kin 43: Blue Self-Existing Night. Moon 12; Day 2 reminds us of 12.2, a Pacal Votan Clear Sign. Seal 13; SKYWALKER a.k.a. Prophet and Culture-Bringer exemplifies the Spirit of Prophecy as the enactment of Wisdom. SP-Mars; SIGNAL; Northern Regions; SOLAR PLEXUS. SELI 2: FLOW; GK-Venus; ROOT: “My Mother is the Ultimate Sphere. I See the Light.” Build Bottom of Radion Cube and place ██████████ (Yang; TIME) on the Right Face of the Cube for Codon 11: DYNAMIZING. TELEKTONON DAY 2: Baktun 2: BC 2718: The Pyramid. “Pacal Votan enters the Great Pyramid-vows to remain in Earthly Tomb of Materialism until the return of Bolon Ik. Rise of first Babylon. “And the second Angel poured out his vial upon the sea; and it became as the blood of a dead man: and every living soul died in the sea.” ***Book of Revelation: Chapter 16, Verse 3. Red Magnetic Skywalker codes two Artists who memorialized Nature: James Audubon was a French-American who is known throughout America for the National Aububon Society he founded for the conservancy of Nature. 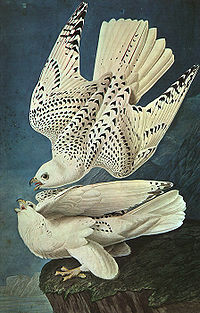 He is also famous as an ornithologist who “created the most spectacular and complete set of bird pictures ever made”. Burbuja33 is her Analog, Blue Cosmic Hand (247), while Michael, White Cosmic Wind (182) is today’s Challenge/Antipode. Matt is the G-Force of Kin 52: Kin 166: Magnetic World-Bridger. Sarah’s Kin 109; Red Overtone Moon is the PSI that codes the first three days of every Crystal Moon. Kin 52 is a Fractal of the Syrian Cycle of 52 years, and of the PSI Plate of 520 Kin (260 per Hemisphere) A 52 day cycle is called a Castle in the Dreamspell Cosmology. Seal 12, HUMAN a.k.a. Sage or Wise Judge exemplifies Wisdom as the source of Prophecy, and Prophecy as the enactment of Wisdom. SP-Earth; CARDINAL; Core; HEART. CRYSTAL tone: Ninth Chamber: Round Table meets. Future Action Prepared. G.A.P. Kin 168; Yellow Crystal Star codes this Crystal Moon of COOPERATION. DYNAMIZING: Way of Conduct Shapes Space. DALI 1: TARGET; GK-Earth; CROWN: “My Father is Intrinsic Awareness. I Feel the Heat.”. Today we begin creating the Red Analog Time Atom. Build the Top of the Radion Cube. DALI 1: UR EARTH 1: Outer Earth, Foundation: Spirit Tower. Katun 1: 9.13.0.0.0. -AD 692; Dedication of the Tomb of Pacal Votan. Kin 194: White Crystal Wizard, First Solar Witness. TELEKTONON DAY 1: Baktun 1: BC 3113, The Star Planting. Pacal Votan enters Earth. Christ and the 144,000 Kin of the Sacred Baktun Count. Concord of the Wizards with Merlin at Stonehenge. This 12-sided circle appeared on 8/12/09: The same day the 2013 and The Mystery Queen blog began on Kin 21. (Aug ust 12 is also the Solar Birthday of Kin 51: Madame Blavatsky) The analysis found here http://www.crystalinks.com/cropcircles2009.html will inspire us during the 12th Crystal Star Moon: “12:12; This beautiful formation has appeared at Wayland Smithy on this day August 12th, The number 12 is significant within this design… This important formation with regard to its numerology, not only signified that this date was part of the message, but also of the overall design…there is a remarkable resemblance to Gothic Architecture, especially Rose Windows…(which), utilise geometry on three levels: manifest, hidden, and symbolic. 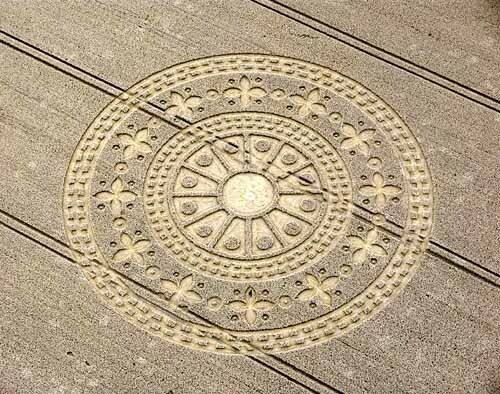 The 12 divisions throughout this Crop Circle design …point to the finite and infinite, Earth and Heaven, or matter and spirit, and of course the 12 Disciples…”. “I dedicate in order to Play, Universalizing Illusion. I seal the process of Magic with the Crystal tone of Cooperation. Today’s Analog is a Galactic Activation Portal: Kin 168. Yellow Crystal Star also codes the Moon which begins at Midnight! The Hidden Power, Kin 210: Lunar Dog is also a G.A.P. The G-Force of Kin 51 is Kin 193: Red Spectral Skywalker, creating a sort of ‘Magic Turtle connection” for the last day of the Spectral Moon, and with today’s PSI: Planetary Skywalker. Seal 11, MONKEY a.k.a. Magician and Blue Alchemist. “As the generator of the Blue Electrical Circuit, the Magician complements the Red Serpent Intitiate as the generator of the Red Electrical Circuit.” Blue Alchemist exemplifies Magic as the beginning of Prophecy. SP-Venus; CARDINAL; Northern Regions; THROAT. The first DNA representation remind us of the Red and Blue Electrical Circuits generated by the Red Serpent and the Blue Monkey, and of the Red Female and Blue Male discussed in today’s Postulate. 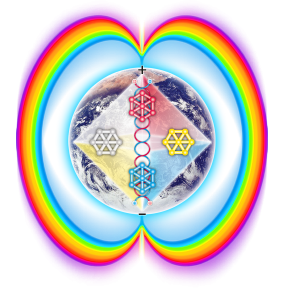 It is also similar to the Red and Blue entwined Flux Tubes we will envision during the Rainbow Bridge Meditation today. “…like a program without a hard drive, DNA doesn’t do anything by itself, ‘but when the software is loaded into the computer – in this case the second bacterium – amazing things are possible’.” (A quote from Craig Venter found here: http://www.davidicke.com/headlines ) The second image represents the result of alchemy (and/or focused practice known as Magic). Yoga and Meditation enhance our Siddhas and Telepathic powers to Transform our DNA and our world. SILIO 28: DISCHARGE; HEART: “My role is to Accomplish the Actions of the Buddha. I Discharge the Mental Electron Neutron at the Center of the Earth.”. Today we complete the Yellow Unified Field Telepathic Time Atom by infusing the Heart of it with our Spirit. It connects with the Blue Occult Atom to create a Tetrahedron. Discharge all to the Heart of the Earth. SILIO 28: UR EARTH 7: Earth in Heaven Spirit Tower. Return of 7th Solar Witness: Kin 200, Overtone Sun: Perfection of the Human Soul-144,000 cubed within. 7th Mystic Moon of 2013: Kin 208: Yellow Cosmic Star . TELEKTONON DAY 28: Palace of Heaven (Joyous Spirit Wind)–Uranus unveiled: Tower of Babel redeemed as Spirit Tower of the Telepathic Redemption of the lost Planets. Bolon Ik remains here, while Pacal Votan descends to Earth to undertake another 13 Moons 28 Day journey joining Heaven and Earth. These images of female Buddhas seem especially appropriate today. Madame Blavatsky, Blue Crystal Monkey, lived in Tibet for a total of 7 years, and was the only European to travel to certain destinations there. She learned from the wisest sages, who embodied the sacred powers of the Magical-appearing Siddhas. 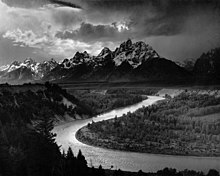 Helena P. Blavatsky said such “adepts are everywhere; silent, secret, retiring, and who never divulge themselves entirely to anyone, unless one did as I did-passed seven and ten yea’s probation, and gave proofs of absolute devotion.” “Through the example of Madame Blavatsky, we see that the more we exert in the Truth, the more our Path is quickened…” Both quotes are from Page 108 of CHC IV: “Book of the Intiation“. This 11th Moon is sealed by Madame Blavatsky’s Seal 11. This Silio 28 (Buddha and Heptad 441) and it’s Spirit Tower is sealed by the combined Kins equaling (11.12 + 7.11 + 4.4) 22. 27, minus 20.13 becomes 2.1. Kin 222. Magnetic Wind codes the Spirit Tower, and 2.1 becomes 21 for the root of the 441 Cube Matrix. Before you “Release“ and “Let go“ of the 11th Moon of Liberation, please take time to focus on this year’s Bolontiku, whose Heart Chakra is coded by Kin 199: Blue Self-Existing Storm. During Moon 11 we have been awakening the 11th articulation of “Awesome Vast Blue Sky”. Send one last surge of energy to his Right Hip as you visualize this Year’s Lord of Time more fully awakened. “I Dissolve in order to Love, Releasing Loyalty. I seal the process of Heart with the Spectral tone of Liberation. Today’s G-Force is Kin 60:, Galactic Sun, Pacal Votan’s Galactic Birthday, and a Pacal Votan Clear Sign. (The Mystery Queen just now realized something regarding Kin 60–which she will reveal in 10 days on Kin 60!) Today’s Hidden Power is also a Pacal Votan Clear Sign: Kin 211; Blue Electric Monkey. Kin 211 coded the Venus Transit on Crystal 10 of the 11 Wizard Year (June 8, 2004) which was 31 days before the end of TMQ’s Solar-Galactic Return Year. The next Venus Transit occurs on June 6th 2012; coded by Kin 9; Solar Moon. 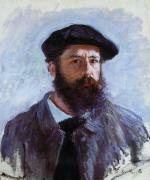 Claude Monet is Kin 50: Spectral ‘Compassionate One’. Another Spectral Dog was Robert Anton Wilson, American author of 33 books mainly of ‘Cosmic fiction’. TMQ enjoyed his books, and found one particularly helpful: “Everything is Under Control“. It served as a reference book for Truth-Seekers. She had the honor of meeting Mr. Wilson at a lecture/book-signing in San Fransisco. Here is how he sums up the 5,117 years we have endured during the 12:60 frequency: “Horror is the natural reaction to the last 5,000 years of history”. Seal 10, DOG a.k.a. Compassionate One or Divine Loyalty exemplifies the power of Love as the unconditional regard for the well being of all creatures. Divine Loyalty begins our Solar Prophetic Flow towards Spirit. SP-Mercury; POLAR; North Pole**; CROWN. LIMI 27: TELEPATHIC MEMORY; 6th Solar Witness; Moon: Kin 199: Blue Self=Existing Storm. 6th Mystic Moon: Kin 207, which also codes Dec. 21, 2012. TELEKTONON DAY 27: 27=9 x 3. Focus on the power of the 9 Lords of Destiny and Time, Bolontiku, the summoning power of 9 in the unconscious. Send the Telecosmic Number Power of 9 to Pacal Votan. Divers have been retrieving treasures from Queen Cleopatra’s Palace, including the Temple of Isis. Initiates of the Isis mystery cult worshipped a compassionate Goddess.” http://www.dailymail.co.uk/sciencetech/article-1281419/Sunken-treasure–divers-recover-stunning-artefacts-Cleopatras-palace.html#ixzz0p4yPM11f “Alexandria’s Royal Quarters – ports, a cape and islands full of temples, palaces and military outposts – simply slid into the sea after cataclysmic earthquakes in the fourth and eighth centuries“. Read more: http://www.dailymail.co.uk/sciencetech/article-1281419/Sunken-treasure–divers-recover-stunning-artefacts-Cleopatras-palace.html#ixzz0p4yPM11f Cleopatra was the last Pharoah to rule Egypt. Christine referred us to the link containing this image-and to so much more–Thankyou Kin 133 :)! TMQ placed the image here because it reinforces our GM108X Day-out-of-Time. Then she realized it contains both the KEYhole crop Circle and the Circumpunt Crop Circle! Additionally, HERO=Kin 51 (A=1, Z=26) which codes HPB, Madame Blavatsky, whom Valum Votan calls the “Pre-cursor of the Red Queen“ who contributed so much to our successful navigation through the Closing of the Cycle to our Galactic Synchronization in 2013. One last synchronicity, which existed for the entire Spectral Cube Journey ends on this Magic Turtle Day: This is the 21st day of the ‘extended Cube’: Telepathic Memory. 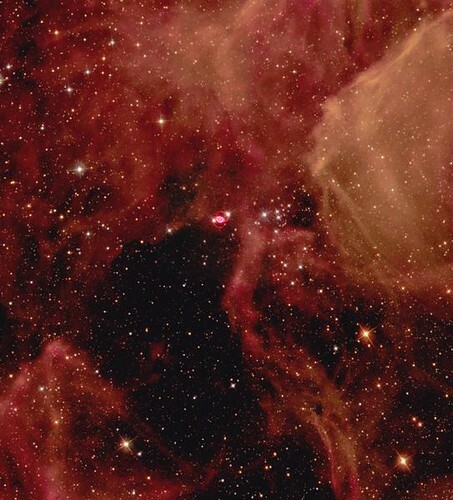 The Kins coding today (10.11), this Moon (7.11) and the Year (4.4) equal 21.13, for a “Cosmic Hunab Ku“. Seal 1: BIRTH; Cube 1: MEMORY. “I Perfect in order to Purify, producing Flow. The G-Force is Kin 187: Blue Overtone Hand. The PSI for Spectral 26, 27 and 28 is G.A.P. Kin 153: Red Planetary Skywalker. Toda’s Challenge is Kin 179: Blue Planetary Storm. The Day, Moon and Year combine to make: 20.12. 939 days remain until 12/21/2012. Red Planetary Moon coded the year of the discovery of the Tomb of Pacal Votan (and the Birth of the Mystery Queen). In the 7:7:7:7 Instruction Manual, Valum Votan refers to Codon 49 as ‘The Carpus Callosum‘. Seal 9, MOON a.k.a. Healer or Moon Priestess exemplifies Healing as the source of Love, and is the guardian of the Universal Water that nurtures and sustains all beings. The Galactic-Karma cycle ends today with GK-Mercury. GATEWAY; South Pole; ROOT. ALPHA 26: Release; GK-Pluto; Throat: “My Country is the Unborn Ultimate Sphere. I Release the Double-Extended Electron at the South Pole.”██████████ (Yang; TIME) Front. Today we build the Right side of the Radion cube. ALPHA 26: ENLIGHTENMENT RECHARGE; Fifth Solar Witness, and 5th of the Last 7 Moons of Baktun 13, both coded by: Kin 198: White Electric Mirror. 5th Mystic Moon of 2013: Kin 206; White Spectral World-Bridger. TELEKTONON DAY 26: Oxlahuntiki: Summoning the conscious Power of 13 (2×12=26). Bolon Ik sends Pacal Votan the telecosmic power of 13, the Power of Time, to help him complete his power of Prophecy, (7). The ‘Lock‘ and ‘Key‘ mentioned above returns us to new analysis of the ‘KEYhole’ Crop Circle. http://www.cropcircleconnector.com/2010/Yarnbury/comments.html ” The keyhole crop circle may be inferring the merging of the energetic principles of Isis and Osiris, which is also confirmed by the circumpunct crop the circumpunct crop circle in the same field. John Scott created these visuals. Note his reference to the 28 dots equaling a menstrual cycle: This Full Moon coded by the Planetary Moon is a double reminder of the Flow of the cycles of Women, the Moon, and the Thirteen Moon Calendar of 28 days. “I Pulse in order to Beautify. Realising Art, I seal the store of Elegance with the Solar tone of intention. I am guided by the power of Flowering”. Year equals 19.11: Spectral Storm. Seal 8, STAR a.k.a. Artist and Keeper of Beauty. 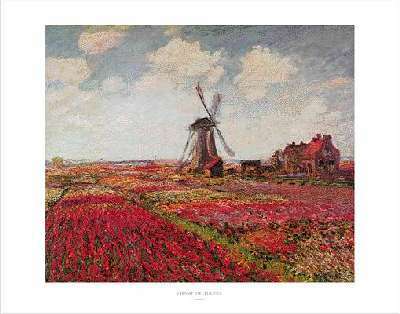 The Artist is exemplifies the Master Builder, and exemplifies the resonant power of Art as the beginning of Love. GK-Venus; SIGNAL; Southern Regions; SOLAR PLEXUS. CATALYTIC BLUE KALI 25: Catalyze-Establish; SP-Pluto; SECRET CENTER: “My Name is the Glorious Lotus-Born. I Catalyze the Light-Heat Within.” KALI activates the Unified Field Sensory and Telepathic Quanta. Radion Cube: BACK; Codon Cube: ████▌▐████ (Ying; SPACE)on BACK. KALI 25: SELF-GENERATION RECHARGE (Extended Cube 19). 4th Solar Witness and Moon coded by Kin 197: Red Lunar Earth. 4th of Seven Mystic Moons of 2013, coded by Kin 205: Red Planetary Serpent. TELEKTONON DAY 25: Heaven Walk Day Two; 25=5×5: Receive power of the Fifth Force. Learn to bow in submission to God, the Divine Principle of Creation. 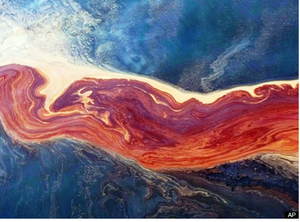 Gulf of Mexico: http://www.whatdoesitmean.com/index1374.htm Are we to view this “worst environmental catastrophe in all of human history” as a vehicle for hastening the Biosphere-Noosphere Transition? Is it a challenge for us to Catalyze our Telepathic Powers and Establish a greater connection with the Earth and each other? What is the optimal way for our 441 Cube of Truth to respond? The crop circles that have appeared since the GULF of MEXICO VOLCANO began spewing oil and natural gas 36 days ago may lead to answers. http://cropcircleconnector.com/2010/wilton/articles.html “…the binary encoded structure of this formation (shown above) clearly demonstrates that the message makers have clearly established a perceptual communication protocol for a series of future formations.” “…the Wilton Windmill formation offers a perfect representation of a hard drive platter. Let’s all hope/believe that the latest crop circle indicates (as surmised in the article linked to above) that this is ‘their’ initial reply, and that the Conduit is Re-opening. Today, let’s Bow in Submission to God. Let’s believe that Divine Intervention, or the benevolent ARTISTS who are ‘ Building’ the Crop circles, will ‘HELP US TO HELP OURSELVES’. “I Harmonize in order to Know. Modeling Healing, I seal the store of Accomplishment with the Galactic tone of Integrity. I am guided by the power of Magic”. Today’s Challenge is Red Galactic Earth. 7.8 is the actual frequency of Earth! 7.8 is a fractal of 780, the Synodic cycle of Mars. Another fractal is 78 (6×13), Cosmic Mirror. 78 is also the sum of the tones of the 13 Pacal Votan Clear Signs. The G-Force of 7.8 is Red Crystal Dragon (1.12 or 21.12!). Seal 7: HAND, a.k.a. 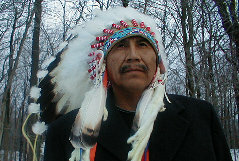 Avatar or Exemplar exemplifies Cosmic Knowledge. GK- Earth; CORE; Equatorial Region; HEART. GAMMA 24: PACIFY: GK-Neptune; Third Eye: “My Lineage of is the Union of Intrinsic Awareness and the Ultimate Sphere. I Attain the Power of Peace.” Pacal Votan; Hunab Ku. “Strike Force” completes Unified Field Sensory Quantum.” Mentally construct the Front of the Radion Cube. Lay the Third line ██████████ (Yang; TIME) on the Left face of the Cube for Codon 5: PEOPLE TOGETHER. GAMMA 24: TELEPATHIC MEDITATION. The 7:7:77 extends the 16 Day Cube, making today the 18th Day. This is MIRRORED in the Tzolkin with today (7.8) plus Moon (7.11) and Year (4.4) equaling 18.9, Solar Mirror. Gamma 24 corresponds to the 3rd Solar Witness, and the (3rd of last 7 Moons of Baktun 13) Moon it codes: Yellow Magnetic Warrior, Kin 196. The 3rd Mystic Moon of 2013 (coded by Kin 204: Solar Seed) is also fractally time-compressed into GAMMA 24. TELEKTONON DAY 24: Heaven Walk Day One. Bolon Ik receives Telecosmic Number power of Form, 24 (4 x 6) from the 4 & 20 elders. Focus on 4. GAMMA’s action is to Pacify. Mordechai Vananu http://en.wikipedia.org/wiki/Mordechai_Vanunu exemplifies Peace and Truth. http://www.haaretz.com/news/national/shame-on-you-democracy-vanunu-yells-as-he-returns-to-prison-1.291687 After serving 18 years for telling the TRUTH about Israel’s Nuclear weapon’s, he is once again being imprisoned (for violating parole by talking to 3 foreigners). Let’s send our Healing energy to this man who pays a high price for his honesty, courage and commitment to a Peaceful World. 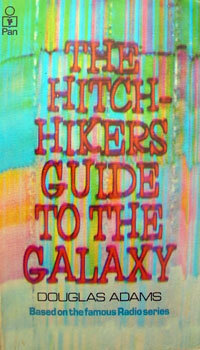 The cover of the first novel in the Hitchhiker’s series, from a late 1990s printing. The cover features the 42 Puzzle devised by Douglas Adams. White Overtone Wind (W.O.W. ), Douglas Adams was born on the 11th of March, passed into Spirit on the 11th of May, and is celebrated internationally during the 11th Moon of Liberation, on Day 25. This Star (Seal 8) has 13 points. The day after the Harmonic Convergence of 12/21/2012 is coded by Kin 208: Yellow Cosmic Star: 8.13. This link was broken for a day, so here it is again: http://www.richardccook.com/2010/05/18/the-final-time-of-testing-is-here/ It’s encouraging to see a previously 12:60 entrenched former U.S. Government analyst espousing views that synchronize with Valum Votan and 13:20 Harmony. Here are 13:28 Turtles relxing in serene Harmony.